Google Almighty is great. It offers separate platforms for publishers and advertisers. And, then combines both in a perfect unison of marketing goodness. 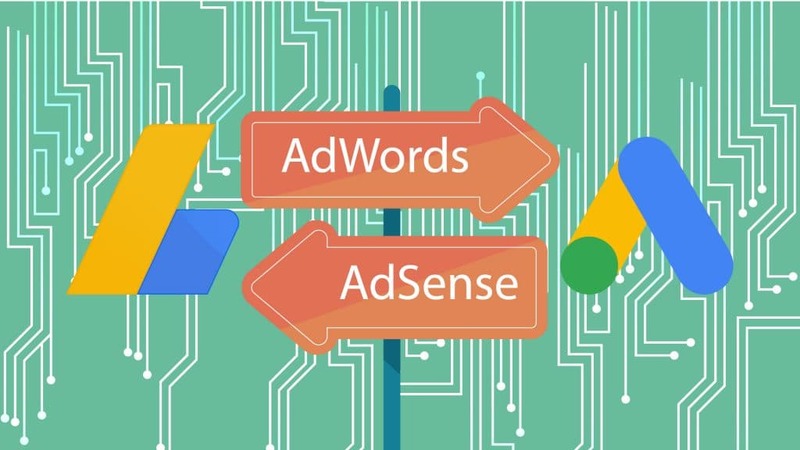 AdWords vs AdSense – Google’s platforms that make every marketer’s dream combine with every publisher’s dream. And the best part is there are no losers here. In fact, everybody is the winner in this symbiotic relationship. Google gets paid for their network being used to place ads. Publishers get a cut for giving their space for these ads. Advertisers get conversions as a result of these ads. So, how do these platforms work? How are they different? And most importantly, how do they combine in this marketing perfection that helps the Almighty hold 90% of the search engine market? To make an analogy here, AdWords and AdSense are two sides of a single coin. AdWords represents the back of said coin, while AdSense is the face. Marketers use AdWords to place their ads on pages owned by publishers that are using AdSense. This is an intricate web of millions of pages combined with millions of branded adverts. It’s backed up by Google’s ever-evolving algorithm which tracks everything users do. This enables a very narrow targeting of specific audiences. The result is the highest return of investment possible. Doesn’t matter if you’re looking for clicks or conversions – Google has it all. With that out of the way, here’s how each works. AdSence is pretty simple. It’s a cost-per-click program that allows publishers to partner up with Big G in a mutual relationship. This relationship involves Big G paying a percentage of what people using AdWords paid to have their ads placed on the page using AdSense. Or, in other words, it’s the bread and butter for anyone trying to make money out of their blog or site. For marketers, these sites are a great opportunity. They show their ads on pages related to their market. To give an example, a site that targets keywords like diamond jewelry is using AdSense. You own a business that sells diamond jewelry. So, through AdWords you can place your very own ad related to diamond jewelry on this site. Google will place these ads for a small amount of cost-per-click or cost-per-impression. Mobile app placements, the most despised option of AdSense. But, we’ll get into this later. Won’t go into detail about what’s Google. It’s probably how you found this post in the first place. Now, let’s get to the good stuff. You see, Google owns something called the Google Search Network. This is where text ads show and it includes Google’s search engine. It also includes Ask.com (if you’re thinking askjeeves.com, it’s literally the same) and AOL. The other thing Google pairs this Network is called the Google Display Network. Now, marketers use AdWords to pay Big G to place their ads on these two networks. It’s no rocket science. You pay-per-click, and Big G places your adverts higher in its results depending on your bids. At least this is true for the Search Network. The Google Display Network is where the magic happens. What Is the Google Display Network? To name the GDN big is an understatement. This network consist of more than 2 million websites and many mobile apps powered by AdSense. It also includes Google’s very own YouTube. So, an ad that’s placed on the GDN can display on any of the above. But, this network requires even more attention than using the Search Network. Those cheap cost-per-clicks might be pretty tempting. But, you could be wasting your money. In reality, you need to filter out most of the AdSense partners. Your Display Campaign’s success depends on this. Block mobile app placements – App placements can drive a lot of valuable traffic. Especially if you are trying to place an app on the market. But, mobile app placements have been the bane of many GDN campaigns. Most of them have terrible conversion rates. And, Google noticed people avoiding mobile apps ads. So, Big G made it very difficult to block these placements. You can do great remarketing campaigns to past visitors interested in your brand that didn’t convert. Google launched AdWords (Ads) in 2000, with AdSense coming three years later in 2003. Making an AdWords account is easy. You sign in to AdWords with an existing Google account and you’re set to go. But, the AdSense account creation is tedious. You need to send an application containing a lot of data that gets reviewed. Also, you must agree to policies that prevent click frauds and banned content. If, and only if Google approves the account can you set-up AdSense on your site. This rule applies for both AdSense and AdWords users. AdSense users are limited to two search boxes, three content ads, and three link ads. AdWords users are limited on one ad at a time. This ad shows on Google’s search results, the Google Search Network and the Google Display Network at the same time. Advertisers create their ads from scratch in AdWords. AdSense users only display them. But, even though publishers can’t alter ads, they can choose which type to display on their pages. Advertisers have it simple. They pay for what they get in the form of cost-per-click or cost-per-impression. Publishers can’t decide in how they get paid, in fact they can’t even choose whether to display CPC ads or CPI ads. The combination of AdWords and AdSence is ingenious. AdWords is by far the best solution for paid search engine marketing for anyone. It offers the biggest network in the world combined with a narrow targeting leading to most conversions. AdSense is by far the best solution for anyone trying to monetize their web content. If offers the biggest advertiser pool and you get paid per ad. The two work in unison to create an enormous marketing machine. And, marketing on Google is the first thing everyone does when starting a digital marketing strategy. What a great world to live in! Vrootok has a new intern: Meet Simona! Use Marketing Funnels to Optimize Your Profit!